The 2018 Betfair Chase looks like being the most high-profile renewal in years if the promised Cheltenham Gold Cup rematch between Might Bite and Native River comes to pass, with the betting suggesting a modicum of revenge is in the offing for Nicky Henderson’s quirky chaser. 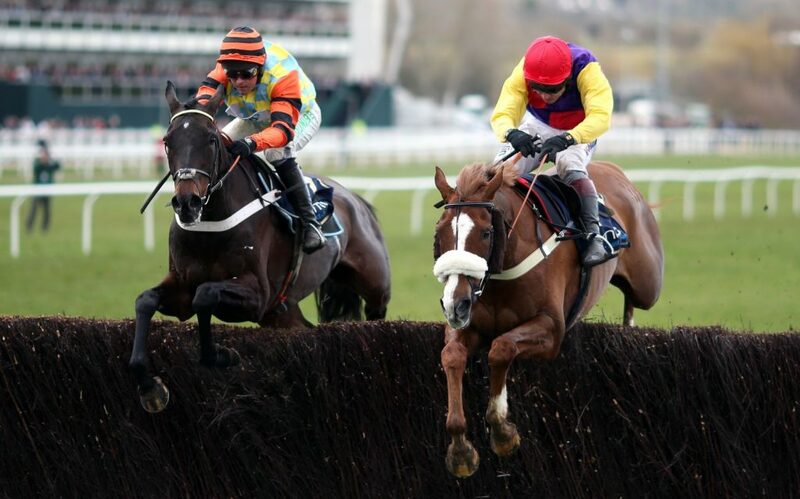 However, reasons for our Betfair Chase betting tips to prefer Native River are manifold: he won their sole previous clash, his trainer Colin Tizzard has saddled three of the last five winners of the Haydock Grade 1, while Henderson has yet to win it and he’s currently more than twice the price (5/2). In spite of those reasonable objections, it’s difficult to look beyond Might Bite justifying EVS favouritism at the Lancashire track, so long as the word ‘good’ remains within the going description. Let’s start by dismissing the claims of those other than the big two in the market. Clan Des Obeaux, 12/1, finished a 10-and-a-half-length third to Might Bite in the Aintree Bowl in April and, while Paul Nicholls hasn’t minced words in forecasting he’ll come on a bundle from that run, he’s still rated 15lbs inferior to the favourite and hasn’t won on his last two seasonal bows. Thistlecrack, 9/1, was rated just 1lb lower than the Henderson chaser’s current mark following his victory in the 2017 King George but has since suffered not one, but two injuries requiring lengthy spells of recuperation. This represents his first outing since the most recent of those mishaps. At 6/1, last year’s 57-length winner Bristol De Mai is harder to discount, having won all three of his past visits to Haydock, with 22l the shortest winning distance of that trio of victories. However, each of those came on the heavy ground that he handles better than pretty much any high-class chaser around and with this race to be run on good to soft, a far more prosaic performance is expected. Nigel Twiston-Davies’ gelding was put firmly in his place by Might Bite on good ground at Aintree in April and that came less than a month after Henderson’s chaser’s epic Gold Cup tussle with Native River, while BDM had swerved the Cheltenham showpiece. Naturally, it’s tougher to find objections to raise against Tizzard’s stable star, but his biggest wins as an open-company competitor have all come on soft ground. True, he landed the 2016 Hennessey on good-to-soft, but his official rating was unchanged after that race, suggesting it wasn’t a particularly high-calibre renewal. 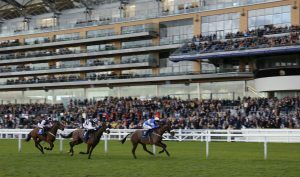 Whereas Native River has shown his best form on soft ground and stamina-testing tracks such as Chepstow and Cheltenham, Might Bite has shown equally strong form at speed courses like Kempton and Aintree. Haydock certainly falls into the latter category and, combined with the good-to-soft conditions underfoot, this year’s Betfair Chase looks like favouring gears over staying power. An honour roll of similar such beasts – Kauto Star, Silviniaco Conti and Cue Card – offers further evidence for this hypothesis.